COUNCIL NOTICE: Please be advised that the East Brunswick Service Center and Juliette's Closet shop will open at 11:00am on Wednesday, April 24 for a staff meeting. We apologize for any inconvenience. 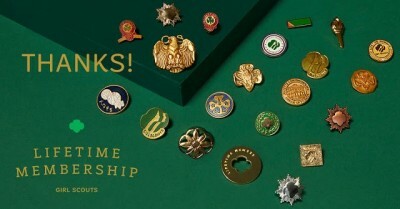 The first 200 GSCSNJ volunteers to take part in this Lifetime Membership promotion in April 2019 will receive an exclusive Girl Scout Lifetime Membership t-shirt! 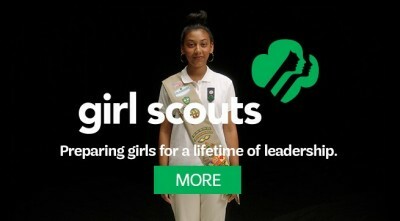 Join CEO, Ginny Marino and Members of the Board of Directors at a Membership Forum in your community to learn about what is happening in the Girl Scout Movement. You will also have a chance to share your thoughts, suggestions, and ideas. Jacqueline's Girl Scout Gold Award Project is called Share your Shoes. The purpose of this project is to educate the homeless in Atlantic City, New Jersey on proper foot care and foot health.